The Red Mile’s Grand Circuit meet is the focus of the sport for the next two weeks. The weekend was filled with Bluegrass stakes for two- and three-year-olds of both gaits. Our campaign began on Friday, where we tried to beat favorites that were spot-on fast and furious. We had a 6-1 second with Deadliest Catch, who completed the $24 exacta with a favorite. Beyond that we were fourth with Here’s Johnny, had a breaker that finished off the board and a scratch with Arctic Tale. Saturday got lucky for us as a disqualification placed our choice, Rockin Amadeus first in another Bluegrass event, paying $10. Captaintreacherous won again later paying two and change. Three others we gave out finished second: Sir Richard Z Tam (2-1), Dedi’s Dragon (2-1) and Bettor’s Edge (7-1). Rockaround Sue (48-1) finished third. Sunday, Sept. 30’s Bluegrass features were for soph-colt and soph-filly trotters. Our only strike was mild and, as it turned out, quite predictable. Guccio won a colt split as the dead-on choice, paying $2.40. In the other colt episodes, Gym Tan Laundry (3-1) was fourth and Beer Summit (3-1) got fifth. The fillies also handed over an obvious choice as Check Me Out broke her own world record and won, paying $2.80 in one split. Bluff (7-5) skipped a bit at the top but recovered to finish third and Personal Style (3-2) broke at three-quarters while charging in second and finished sixth. The final weekend of The Red Mile’s Grand Circuit meet presents the age-old Kentucky Futurity episodes for colts and fillies of the soph-trotting ilk. 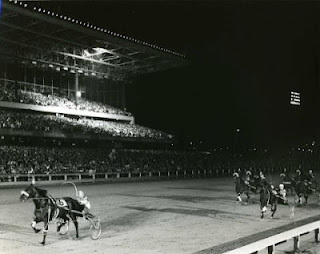 The events are embedded in harness racing history (for some info, click here) and is one of the last outposts for heat racing. The Hambletonian crews will be aboard, most of them engaged in heat racing for the first time, which could provoke any number of upsets. We will be covering the events with complete analysis’ in our preview blog this week, including the exclusive Breeders Crown Countdown blog. Other top events are on the agenda for two- and three-year-olds of both gaits and some other divisions. These are the last big races before eight divisions drop into the box for the Breeders Crown elims. Stay with us at TwinSpires for great harness-betting action and stabs at the best prices the sport offers. The biggest news this week is that the Breeders Crown series will return to Mohegan Sun at Pocono Downs in 2013. We were on site in 2010 at the Pennsylvania track to report on both weekends—elims and finals—and hope to be there again with the press corps next year, exclusively for TwinSpires in league with the Hambletonian Society, which handles the series. We will cover this year’s series at Woodbine live but not on site. Tom Charters, president of the Hambletonian Society, was enthusiastic about the partnership. “The opportunity to return to Pocono Downs in 2013 is very exciting,” he said. “Mohegan Sun and the Pennsylvania horsemen were terrific hosts in 2010. Pocono was the first track to host all 12 races on a single program, worth $6 million. Western Fair in Canada opens Oct. 12 with a 7:05 p.m. EST post. The London, Ontario oval will host racing every Monday and Tuesday at 4:05 p.m. and Friday and Saturday nights at 7:05 p.m. through Dec. 31. The first major race on the schedule will be the $200,000 (est.) 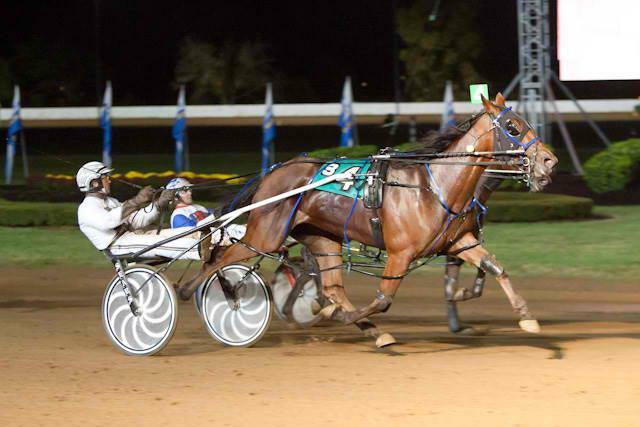 Forest City Pace for pacing mares, slated for Saturday, Nov. 17. Herve Filion has accepted an invitation from Rideau-Carleton Raceway to drive on its Sunday, Oct. 7 program. The 72-year-old will make his first Canadian driving appearance in over a decade. Filion, a native of Quebec, has spent most of his life living and racing in New York. He sits second in North American in lifetime victories with 15,180, his record being surpassed this year by Dave Palone. His career earnings are nearly $90 million. In the standardbred industry’s Top Ten poll, the filly Check Me Out continues to maintain first place. It is uncommon for a soph-filly trotter to hold the first spot, no less keep it for as long as has Ray Schnittker’s dynamic filly. One horse that is eligible but won’t be racing in the Breeders Crown is For A Dancer. The soph-filly trotters connections announced they are retiring her for health reasons. She had a pretty good go at the races at two and three. She won the Lady Suffolk in May and an Empire Breeders Classic elim and final in June but she was never a challenge to the division’s super filly, Check Me Out. Indulge in many standardbred topics at my Hoof Beats blog titled Vast Performances. Every weekend as part of that blog we we offer Balmoral Pick-4-and-win picks at the USTA’s Strategic Wagering Program page which includes suggested win bets. Last Saturday’s ticket produced two winners, Gibbs ($10.60) and Whistle Pig ($13.40).